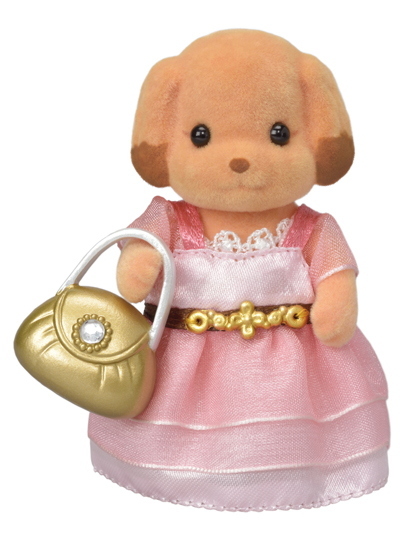 Laura, the Toy Poodle older sister is a chocolatier. She makes chocolates and sells them in the chocolate shop in the department store. She loves sweets very much. Ever since she was a little girl, she dreamed of having sweets all around her every day. Now her dream has come true! Her most popular chocolates are beautiful chocolates that look like jewels. 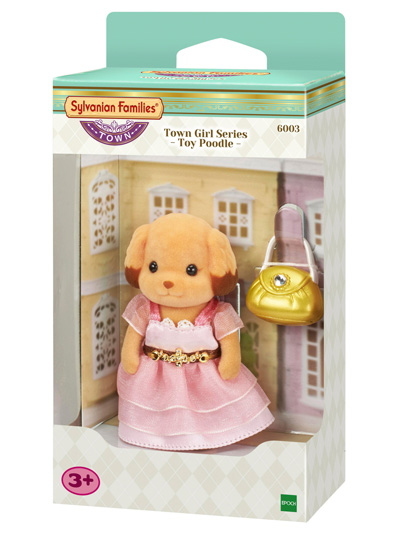 Combine this figure with the Toy Poodle Family, Toy Poodle Baby, and Toy Poodle Twins to complete the Toy Poodle family.